Attempting to explore more traditional terrain, writer/director Xu Haofeng decides to explore one of his own novellas for his third directorial outing after the acclaimed efforts ‘The Sword Identity’ and ‘Judge Archer.’ Employing a more recent stage for his period-set martial arts drama, ‘The Final Master’ or released under the original title ‘Shi Fu,’ allows him to go for a realistic touch to the martial arts. 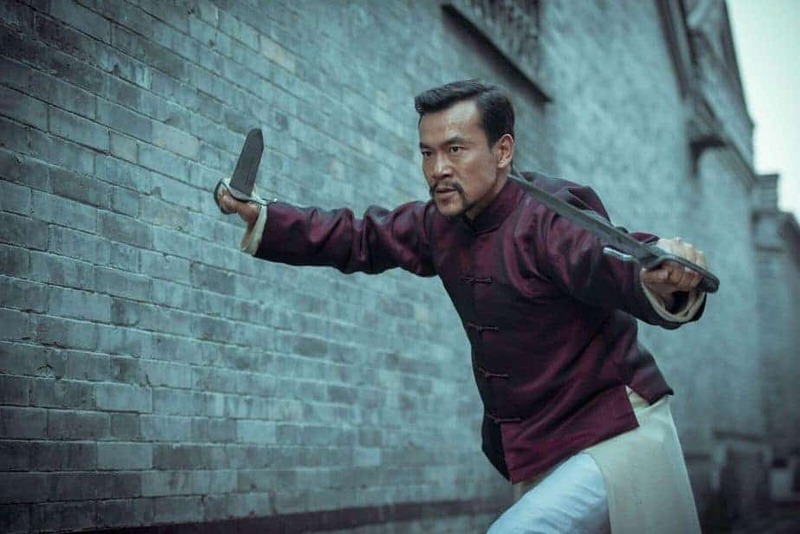 Desperate to open a new studio, martial arts master Chen Shi (Fan Liao, from “Black Coal, Thin Ice”) yearns to introduce Wing Chun, a relatively new martial arts style, into Chinese territories. When told by Grandmaster Zheng (Shih-Chieh King, from “Brotherhood of Blades”) that such a practice is not allowed, he and his wife Zhao Guohui (Jia Song, from “Red Cliff”) find a way of getting around the circumstances by signing a protegee and selecting Geng Yiangchen (Song Yang, from “Judge Archer”) to be his pupil. After setting up their training, he comes to learn the final part of the program in a series of competitions against other martial arts schools in the city and sets out to accomplish his mission, to follow through with his plans. On the whole, this was quite a problematic entry. The main issue here is Haofeng’s direction. He shows absolutely no sense of tempo or pacing in storytelling, causing this one to feel so dragged out and dull that it can come off as boring. Matters unfold in the most excruciatingly slow manner possible, with scenes that go on forever without really saying much. Due to the reserved nature of the material, very few scenes here actually manage to effectively put forth what the film’s point is actually about. 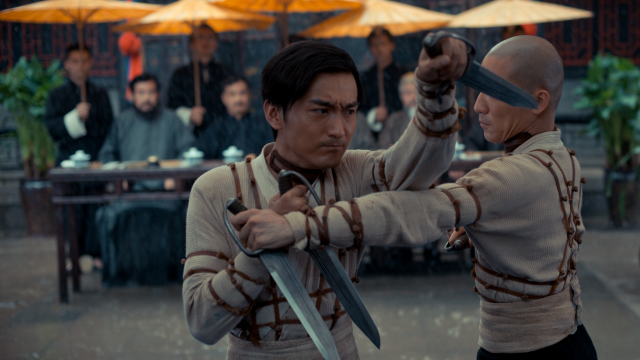 Nothing is told here about what the city’s laws about beating the other dojos means, and more telling is that, rather than set-up the need for continuous fighting, the film features plenty of dialog scenes between everyone. The pacing just causes the film to feel boring. In addition, some of his choices here are somewhat questionable. The incidental music used for the scenes of them wandering around town is too modern and quirky to compliment the scenes of everyday life in 1930s China, while focusing on useless side-tangents that eat up running time rather than flesh out the characters. As well, matters aren’t helped by the martial arts conflicts. Keeping the combatants to realistic levels in terms of hand-to-hand combat and weaponry, only limits the performers to a grounded form of combat that looks realistic yet never goes to the fantastic. The fighting, especially with it being limited to competition means, causes the performers to look like actors in a choreographed play more than anything. Ending nearly every series of strikes with stylized posing doesn’t seem useful for a major, life-saving battle and in here it really stands out due to the brevity of it all. For such a long-winded film, the actual fights don’t last all that long, so it draws focus to that particular aspect of the fights. This saps a lot of the energy from the action, which, considering these are supposedly against the best of the best, doesn’t make for wholly thrilling contests. For those that prefer more fantastical athletic feats to be expressed, that’s a big issue alongside their brevity. There are a few problems here, but the film does have some virtues. Although the fighting is quite short and has some flaws about it, the choreography has some nice features about it. Following on Haofeng’s choreography, there’s plenty of rapid-fire hand-to-hand strikes featured throughout here, which is all made to look even more effective through Haofeng and He Sisi’s editing. The sense of poetry established here in trying to make martial arts seem like a dramatic art-form, ties in nicely with the desire of utilizing the chosen style. That becomes most apparent in the final fight with the various masters in the city streets and back-alleys. This is where the movie really comes into it’s own with some energy and enthusiasm as this one really picks up with a multitude of opponents and weaponry. However, it’s too little too late for this one. On the whole, there’s not a whole lot to really go on here. While the film looks nice overall, it’s just way too dull and features so little martial arts action that those looking for continuous, high-energy fighting will be let down considerably by the film, and really isn’t a mandatory watch on any scale.